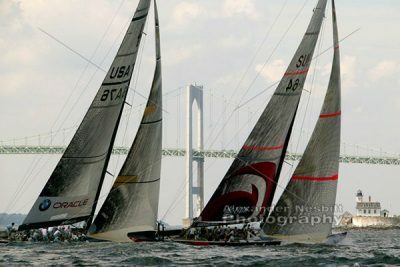 America’s Cup boats race for the 2004 UBS trophy in front of the Newport Bridge and Rose Island Lighthouse. 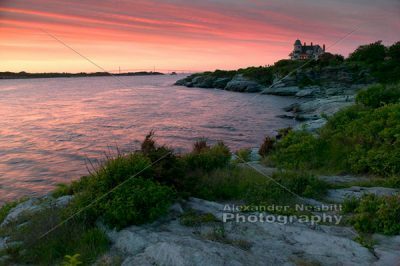 Sunset at Castle Hill Inn and Resort with the view north up the east passage of Narragansett Bay. 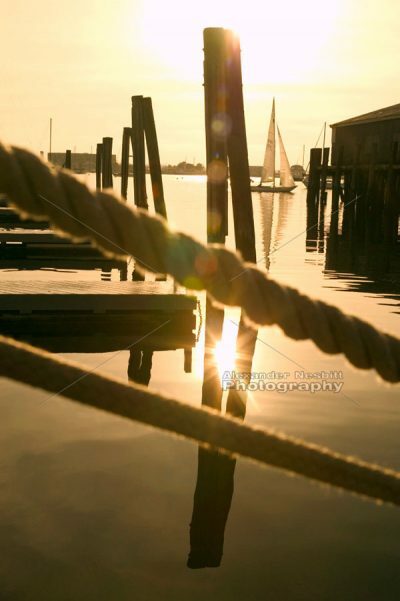 A Shields class racing sloop sails in the distance past the dock lines of a yacht on Bannister’s Wharf in the late afternoon sun. 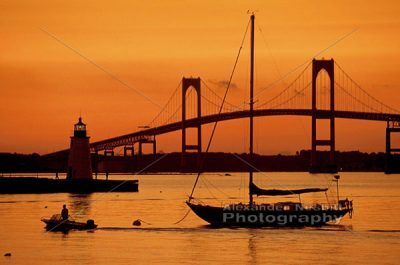 Orange sunset glows behind the Newport Pell Bridge with green light from Goat Island’s Newport Harbor Lighthouse and boater passing through. 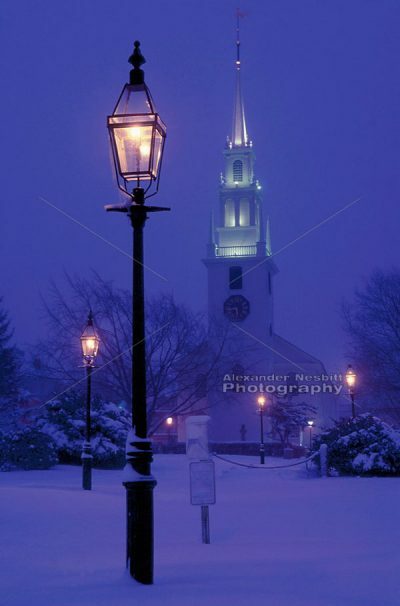 The colonial style, Trinity Church on a snowy winter night with gas lamps in Queen Anne’s Square. Note: this image’s edition in size 11×14 has sold out or has extremely limited availability. Call or email us for inquiries. 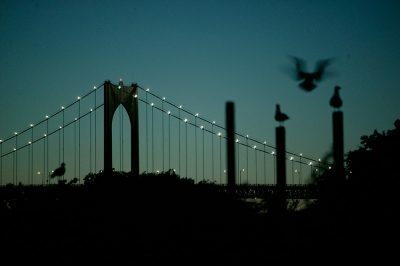 Seagull takes flight from a piling in view of the Newport Bridge from Rose Island. Newport, RI. 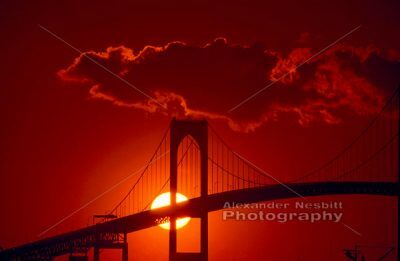 Red setting sun centered behind tower of Newport Bridge.